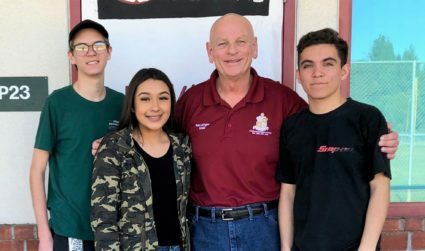 WHITTIER – La Serna High School teacher and football coach Ken LaVigne has spent more than 30 years mentoring students, inspiring his peers and touching the hearts of hundreds of educators across the Whittier Union High School District with his continual compassion, integrity and patience. 012819_WUHSD_COACHTHESOUL: La Serna High School teacher Ken LaVigne recently released his book, “Coach the Soul,” which chronicles heartbreaking stories of struggle and triumph of the students in the school’s award-winning intervention program he created, Organized Academic Support in School (OASIS). He is pictured with students Jastin Cheadle, left, Joselyn Jasso and Sky Maestro. La Serna High School teacher Ken LaVigne recently released his book, “Coach the Soul,” which chronicles heartbreaking stories of struggle and triumph of the students in the school’s award-winning intervention program he created, Organized Academic Support in School (OASIS). 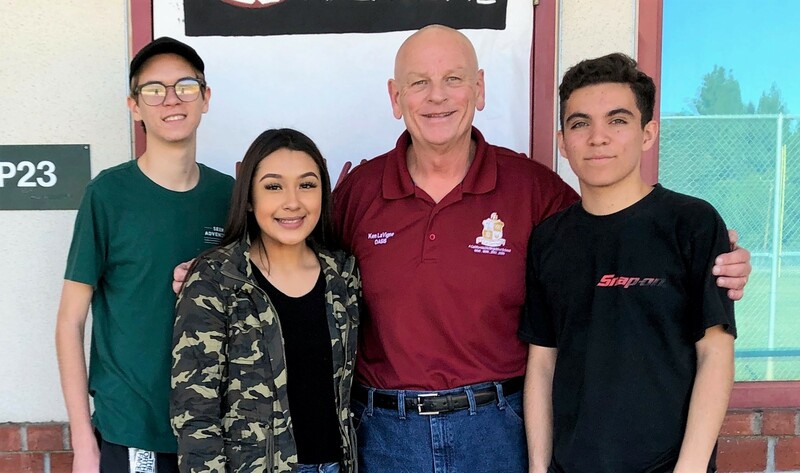 He is pictured with students Jastin Cheadle, left, Joselyn Jasso and Sky Maestro.